Club Penguin Cheats by Mimo777 Club Penguin Cheats by Mimo777: Screenhog On Club Penguin's Halloween Igloo Decorating Contest! 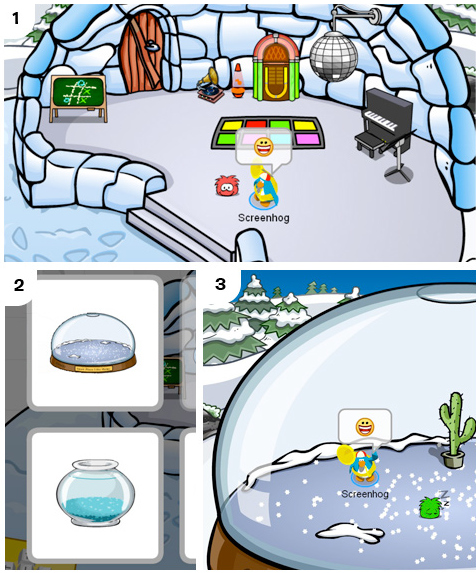 Screenhog On Club Penguin's Halloween Igloo Decorating Contest! As you know, Club Penguin will be having a Halloween Igloo Decorating Contest next weekend. Screenhog loved all your ideas on Wednesday's Blog, and now he is ready for the contest. 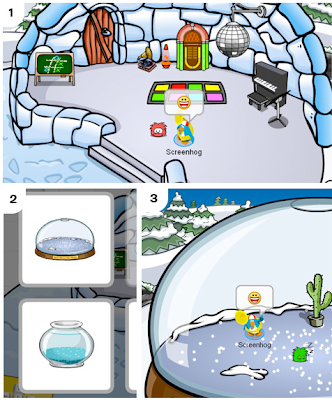 He also wanted to remind us that once a member buys an igloo now, it will go into their inventory. This is so much better than the old way when you would loose your iggy every time you wanted to change it. Play Electric Box 2 Now! Well who wants to meet me on club penguin? -indiana742 P.S Say yes or no. Screenhog might not be entering? But if he is, your right. Well who wants to meet me on club penguin? - indiana742 P.S Say yes or no. I don't think I have time. I'm always busy modding and doing homework. But if you see me shout out. I could be on as DMA0712 or Carlza. im going on CP now :D i cant wait for the contest!! Lol, It's all christmassy and stuff XD! Screenhog is alsom your account mimo777! i was thinking do any of you know when club penguin started? Club Penguin started on the 24 October 2005 at 12:00PM (PST time). Alright I might just be really slow, but when you go to the EPF room and click the big TV the channel changes. Did you happen to see the 'Tip the Berg" Postcard? The piano has been out for a while, it will probably be back in the catalog soon! club penguin started the 24th October 2005 wow that's a long time ago! But if it were a smaller igloo, the furniture would be on the walls. But yeah, that would be cool. why doesnt he dress like a member if he is one? maybe he doesnt want to sow off. idk. If they can make you save igloos, then furniture save is probably not that much harder. They might have it in a year, because they still have to update CP for different stuff. I know! This contest should be very exciting! Hope you win! It's Halloween! What do you expect lol?? hey mimo777 im asking that can you change your igloo in the 2nd halloween contest? i really want to know.